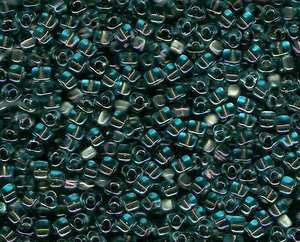 Use these Size 5 Triangle beads in Medium Green Trans. 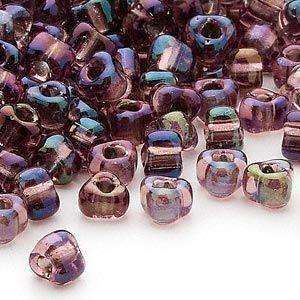 Rainbow for your bead knitting and bead crochet projects, particularly beaded shawls. 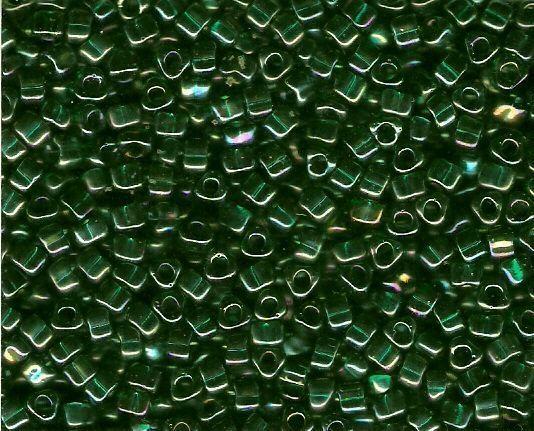 The 1.8mm large hole of these Japanese glass 5/0 Miyuki Triangles makes pre-stringing onto yarn easier, and the beads are ideal for double knit (DK) and worsted weight yarn. 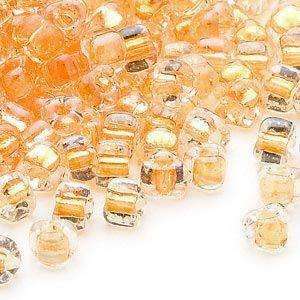 As well as being great beads for knitting shawls with, 5mm triangle beads can also be used for Kumihimo, bead weaving and general bead stringing. 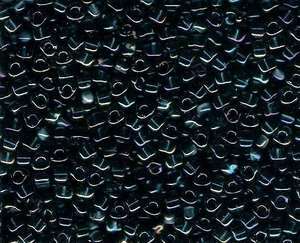 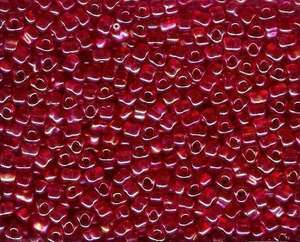 Miyuki Triangle beads have a uniform shape and smooth edges so they are less likely to cut and rub on yarn and wool. 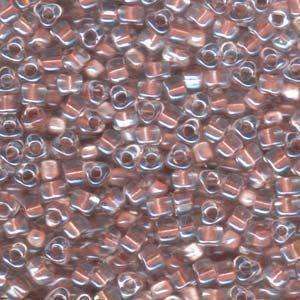 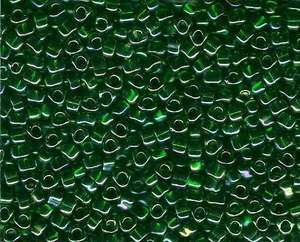 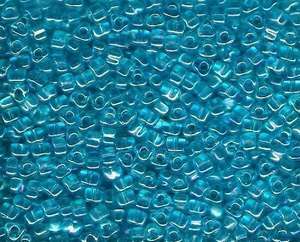 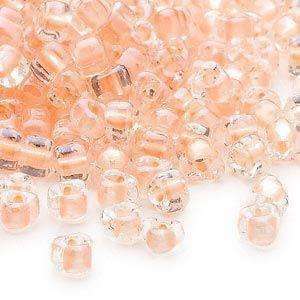 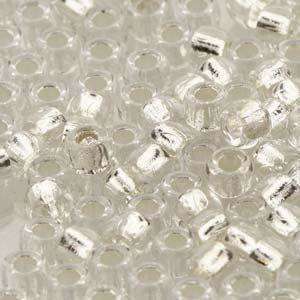 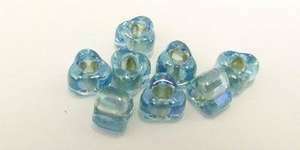 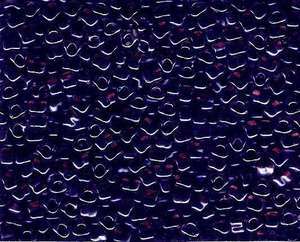 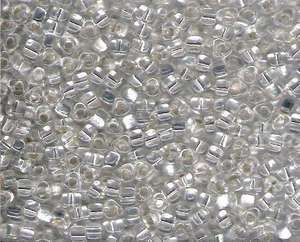 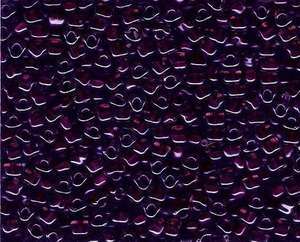 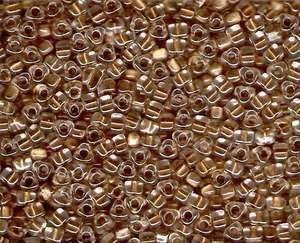 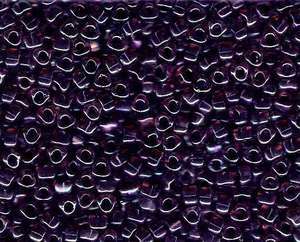 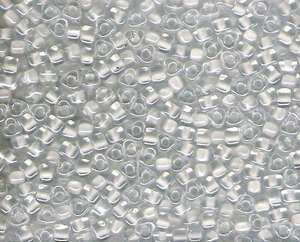 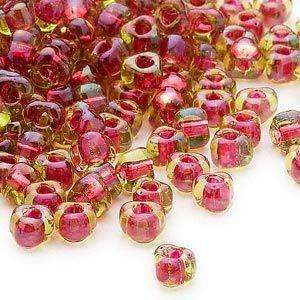 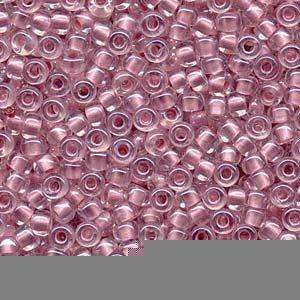 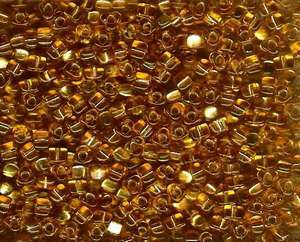 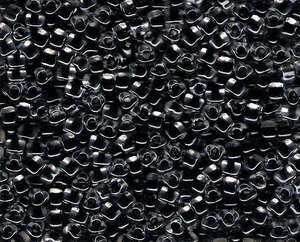 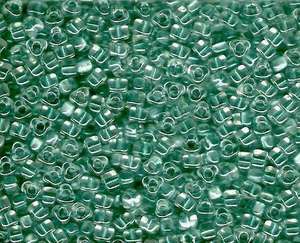 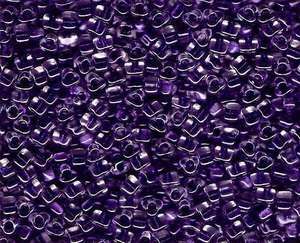 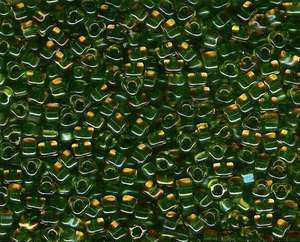 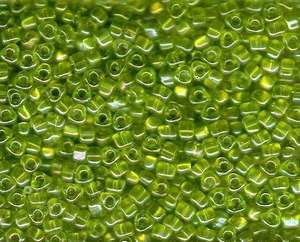 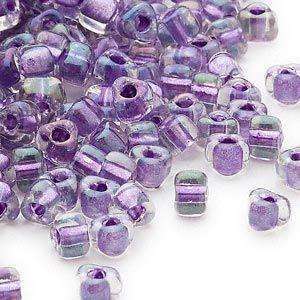 There are approximately 130 beads per 12 gram pack.